US capital, which the regime would be unlikely to survive. Many Cubans would grow richer and more demanding, and would no longer accept playing second fiddle to the tourists. US. Is the American system that allows gambling on Indian lands an example of how economic opportunities might be provided for indigenous populations elsewhere? Establishing stronger penalties for violation of employee rights when workers seek to form a union and during first-contract negotiations. Providing mediation and arbitration for first-contract disputes. Allowing employees to form unions by signing cards authorizing union representation. The Bill has been supported by nearly all Democrats. The responses from the right are so similar to those in Australia. The passing of Richard Rorty attracted little attention in Australia, although there was a discussionof his philosophical work on the ABC. His specifically political work was ignored. Rorty identified himself strongly with the old anticommunist left, in his Achieving Our Country: ‘the war against Stalin was as legitimate, and as needed as the war against Hitler’ and that the liberation of 1989 would not have occurred if the US had come to terms with Stalin in the late 1940s in the war that cold war revisionists argued it should have done so. He emphasised the importance of linking a progressive politics to a sense of national identity and history and provides an acute critique of the ‘Nietzchean left’, represented in Australia authors such as Mark Davis. Rorty’s emphasis on remembering the history of the labour movement came to mind when I was reading Clark’s Select Documents recently and the labour documents in it. 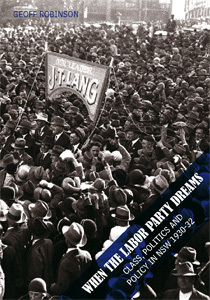 History students in Australia learn little of the struggles of the labour movement. Rorty advocated a turn to ‘class politics’ but not in the sense that many of its Australian proponents do. Faint hints of this approach can be seen the Democrats’ populist turn. There are many flaws in his work, he is too dismissive of Marxism as a tool of analysis if not a political philosophy, he places too much blame on the new left for the breakup of the New Deal coalition, and as Posner commented some of his specific views on economic policy are unconvincing. Nevertheless Rorty’s political work deserves more attention in Australia. Is the Georgia special election for the 10th district a Democrat disappointment? The Democrats have not made it into the top two and the run-off will be between two Republicans. When I heard of the election I thought of Gene Taylor’s secure hold on the 4th district of Mississippi, Taylor is a Democrat although probably the most conservative in the House. In 2004 Taylor polled 64.2% but Bush won the district 68.3%. In 2006 the Democrats polled 32.6% in the 10th, in 2004the GOP was unopposed but Bush won 76.7%. Georgia-10 does look even more conservative than Mississippi-4 but perhaps with a stronger candidate the Democrats might have done better. Taylor won a 1989 special election but at his first outing in 1988 he polled well above the Democrat presidential vote. The Democrat candidate in Georgia-10 didn’t seem to have much of a local profile. The Democrats are in a strong position to hold their 2006 gains in Congress according to polls, but personalities remain important. Via Art Goldhammer I see that Eugen Weber died recently. I have just reread his Action Francaise, a brilliant analysis of the leading French conservative organisation from its formation in 1908 to its final ignominy under Vichy. It sheds light on the conservative project. Action Francaise started as Catholic, monarchist and conservative, eventually they were repudiated by Pope and Pretender, although their quarrel with the Vatican was patched up, their conservatism turned to reaction and finally to collaboration with the Germans, even if by Vichy their cadres were too old to play a leading role. There is a nihilism and rage about their project which became more apparent as any prospect of a monarchial restoration evaporated and by the 1930s anti-semitism was absolutely central to their politics. Yet they did exercise enormous impact on the French right, particularly from the First World War they claimed that their Germanophobe nationalism had been vindicated, 1914 like 9/11 seemed to change everything, in the post-war years they exercise increasing an pull on the republican right (which included some former leftists: early neo-conservatives? ), and they contribute to the drift of the entire right towards extremism and finally Vichy. An example of how sometimes in politics ruthless polarizing aggression combined with slander and violence can enable a small group to set the agenda. It is popular among ‘classical liberals’ or the ‘liberterian right’ to argue that the interwar European right was illiberal and that socialism = fascism. The Nolan chart express this view. Weber provides strong evidence against this; at various times some members (such as the interesting George Valois) of Action Francaise flirted with corporatism and appealed to workers but the organisation’s leadership was not interested. Action Francaise was popular when it expounded economic liberalism; sound money, privatisation etc. It is misleading to see economic liberalism in interwar Europe as opposed to the radical right. The decision of New York Mayor Micheal Bloomberg to change his party registration from Republican to Independent is widely seen as preparatory to a third-party run for the Presidency. Bloomberg is extremely wealthy but even in the US money can buy only a limited amount of votes. Bloomberg makes the usual claim about political polarisation and the need for a moderate voice. The example of George Bush compared to Bill Clinton however suggests that the polarisation has been one way as the Republicans have swing sharly rightward, this is supported by the excellent book Off Centre. However the theme of moderation and bipartisanship is popular, Joe Lieberman in Connecticut won a significant level of support from liberals. Presidential candidates from outside the two parties have polled significant votes either as protest against perceived party convergence, George Waalce in 1968, Robert La Follete in 1924, Ralph Nader in 2000, or when they have picked up on a sense of national malaise and anxiety. Bloomberg might appeal to the later. Charles Franklin notes that over 70% of American feel the country is going in the wrong direction, Bush is very unpopular but Congress is not much more popular, although some of the disaffection with Congress is driven by disaffection on the left with the failure of a Democrat majority to end the war. Some of the interest in Barack Obama is linked to this desire for something new, even if speculation about Republicans for Obama seems premature. Because of this mood of disaffection I suspect Bloomberg would do the Democrats more harm than the Republicans, here I agree with the US press and disagree with Andrew Leigh. The great disaffection election was 1912, then the Democrats won after a split in the Republicans, but the Democrat candidate Woodrow Wilson as a former political science academic was something new in politics. Will the Democrats need a 2008 equivalent? Welcome to Geoff Robinson’s blog on WordPress. This has been set up along with his new website geoffrobinson.info. 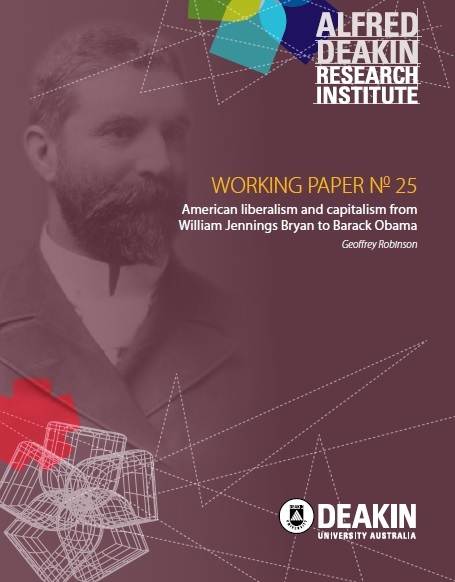 Deakin hides staff web pages, such as Geoff’s, from search engines apparently because the Vice-Chancellor was horrified to find staff using them for advertising so this page has been established. Having been on study leave in semester 1 Geoff’s previous blog had been somewhat inactive. This blog will focus on analysis of current politics in Australia, the US, Canada and India and many other countries within a historical perspective.